The cyber rebellion brought about many changes in equipment design and application. Like any field of development there were dismal failures and monumental achievements. The Gul-Thok Mech designed the Cliktak Clan and manufactured in the hives of the Ectik and Naktak clans was a spectacular success. 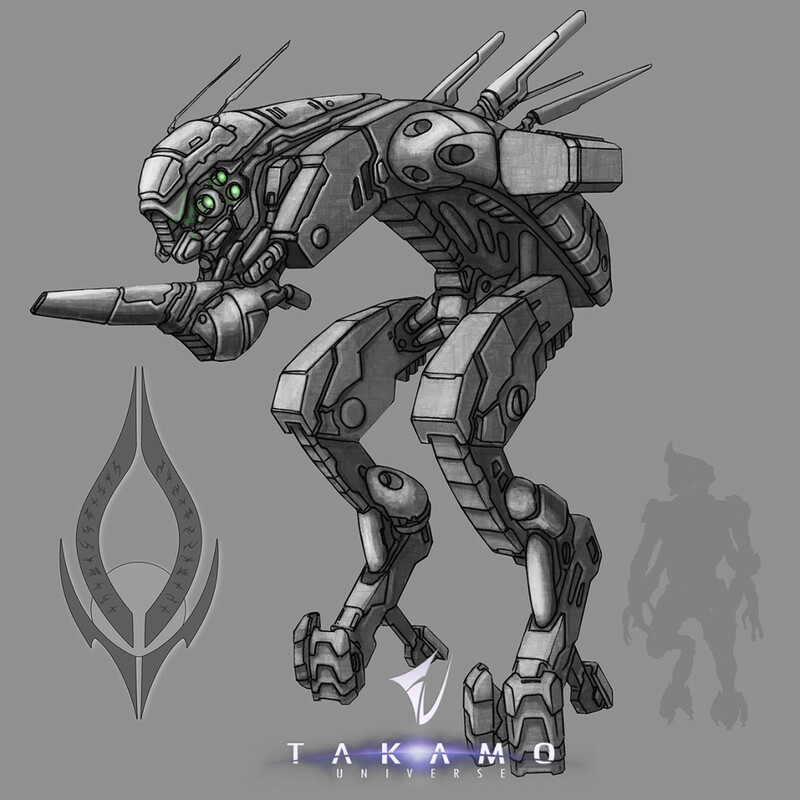 This fully automated high mobility weapon platform served as a main battle droid for a majority of sentient insects, but was used in non-insect alien armies as well. Unhappily, the technology fell into cybernetic hands when the Cliktak Clan was overrun. Modified fully sentient versions of the Gul-Thok began to appear shortly after the defeat of the Cliktak. Bug mechs will be available for purchase in certain alien enclaves and there may be an opportunity to research and develop bug mechs for player empires.